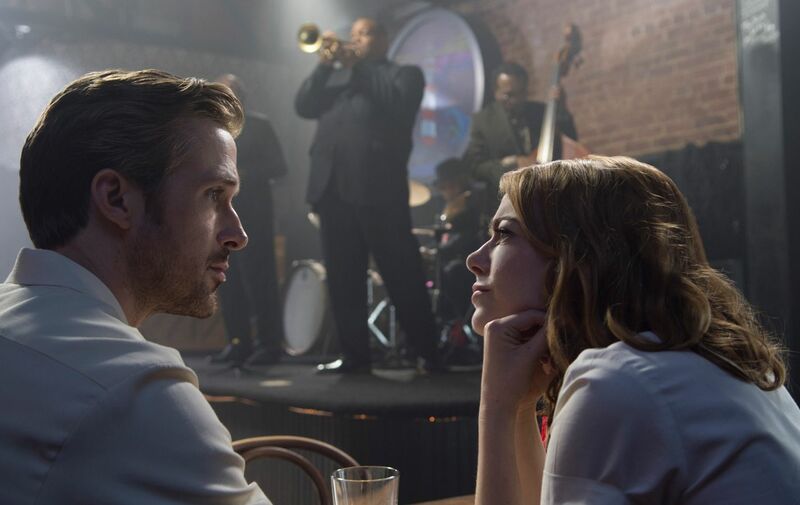 Just a few minutes into watching La La Land, I was already angry: The tale of a pianist (Ryan Gosling) and an actress (Emma Stone) who fall in love while trying to find success in Los Angeles, it not only seemed like one of those cutesy rom-coms that I generally try to avoid, but a musical cutesy Hollywood rom-com, which is infinitely worse. And as hundreds of Angelenos danced on top of their cars in the opening number, Another Day of Sun, my first reflex was to gag a little. Even one hour in, I was still struggling with the acting (both Gosling and Stone are miscast), singing (the actors did their own), and generally lackluster choreography (sorry, guess I’m not easily impressed). But then, I started to fall in tune with writer/director Damien Chazelle’s mash-up of classic musicals like Les Parapluies de Cherbourg (1964) and his own jazz tendencies (Chazelle studied as a jazz drummer, and his three movies to date – Guy and Madeline on a Park Bench (2009), Whiplash (2014), and this one – are all essentially explorations on that music genre’s sense of rhythm and improvisation). And while the film as a whole doesn’t completely come together, its loose, effusive quality is part of its appeal. La La Land’s ambitions end up hitting home in the final moments, where the emotional punch of love lost to ambition is beautifully rendered in a 10 minute sequence that left me breathless. I’m definitely curious as to where Chazelle goes next.